Finding a good caterer can be difficult. 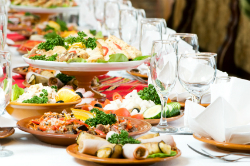 Maybe you’ve found a caterer that’s available for your event, but they’re too expensive. Or maybe you can afford to hire them, but they won’t work around your schedule. Maybe they simply don’t have the experience and reputation you’re looking for. That’s where Tindall TX Catering comes in. We offer professional catering services in San Antonio, TX and New Braunfels, TX for all kinds of special events. From small family gatherings to large weddings to corporate events, we can cater for any type of event. 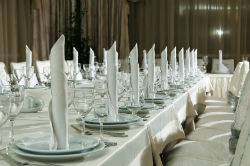 To find out more about what we can do for you, contact our catering company today. We’d love to book a date and get started on the menu for you. Tindall TX Catering is a family-owned business that would love to make your event a success. Although we specialize in catering BBQ food, we can provide a variety of menu items for your unique needs. Weddings: A successful reception always includes some decadent cuisine. We can create a menu built around your style and preferences. 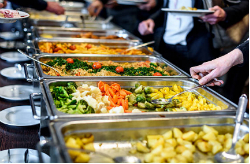 Corporate Events: Make sure your corporate event has delicious food based on your budget with the help of Tindall TX Catering. Family Gatherings: We’ll make sure your family has a full meal awaiting them. Other Special Events: Over the years, we’ve catered for all kinds of special events; we would love to add you to our list of happy clients. As a local business, we truly take pride in delivering incredible food for each and every event. Tindall TX Catering is the business to think of for big and small events in San Antonio, TX; New Braunfels, TX; and the surrounding areas. To get started on the menu for your event and to book your date, contact Tindall TX Catering today. We can’t wait to get down to the details so we can begin planning.